I was really craving something sweet today. And for the first time in my life, I wasn’t in the mood for cake. I wanted cookies. Not just any cookie…the BEST cookie recipe I could come up with. 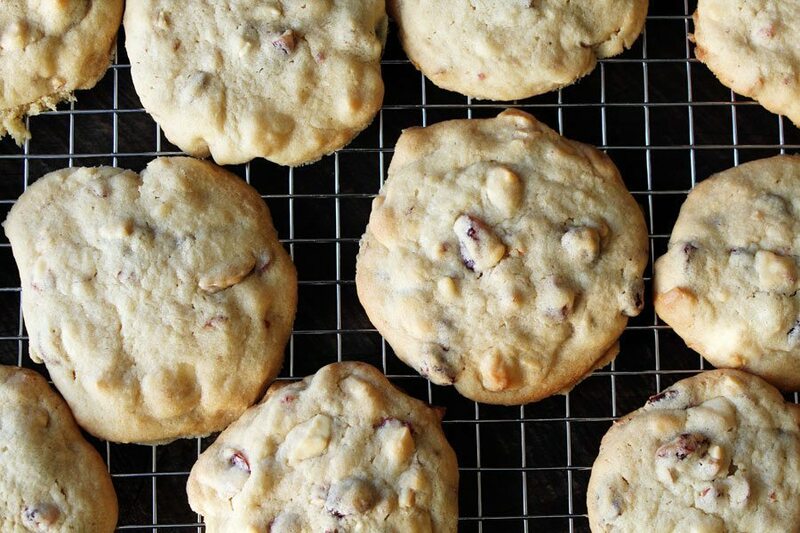 Cranberry Almond Cookies. These sweet treats are 100% Santa Approved for the holidays. Sweet-tart cranberries in a buttery cookie loaded with almonds and another extra special ingredient? So I made a trip to the store. Nine times out of ten, I go to the grocery store with a list. Not this time. Shopping without a list is quite liberating! WARNING: Try it at your own risk. We cannot be held responsible for your random shopping cart and crazy long receipt. While I was browsing around the sweets section, I saw these… Greek yogurt baking chips. Wasn’t sure how I would use them yet, but I tossed them in the cart. These have a rich, cheesecake taste to them. I chopped them up before putting them in the cookies. 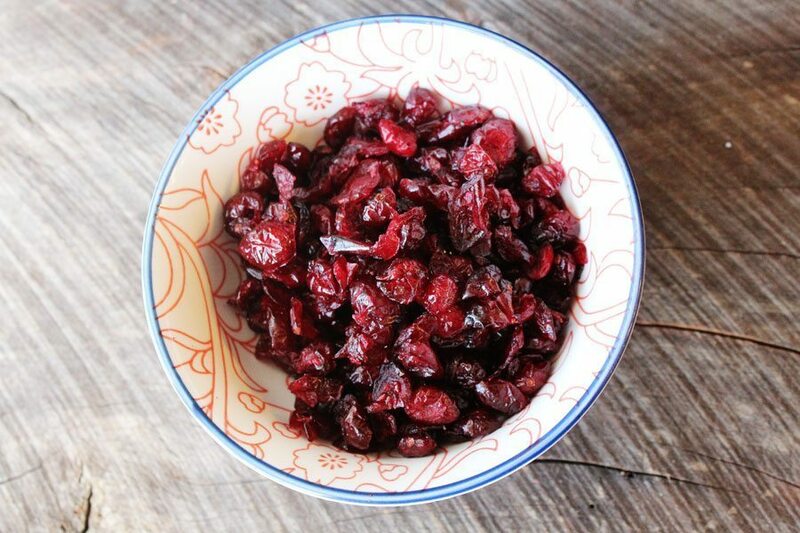 I absolutely love cranberries, and so I grabbed a bag of the dried variety. And nuts. 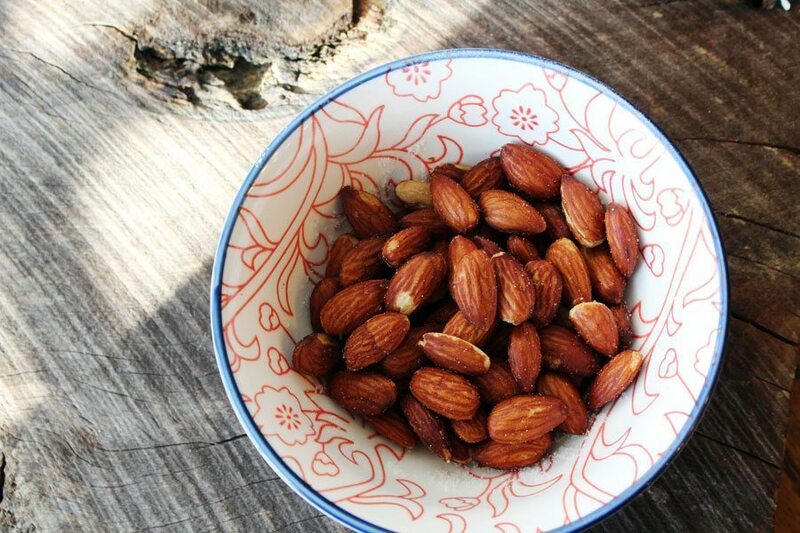 Went with some almonds…because almonds. Give them a good chop before adding them in. My list-free shopping led to a very yummy cookie experiment. A basic chewy cookie dough, with all of my goodies inside…they turned out to be a fantastic treat! The tart-sweet cranberries are perfect with the cream-cheese rich Greek yogurt chips. The roasted almonds add the perfect amount of crunch for our best cookie recipe. 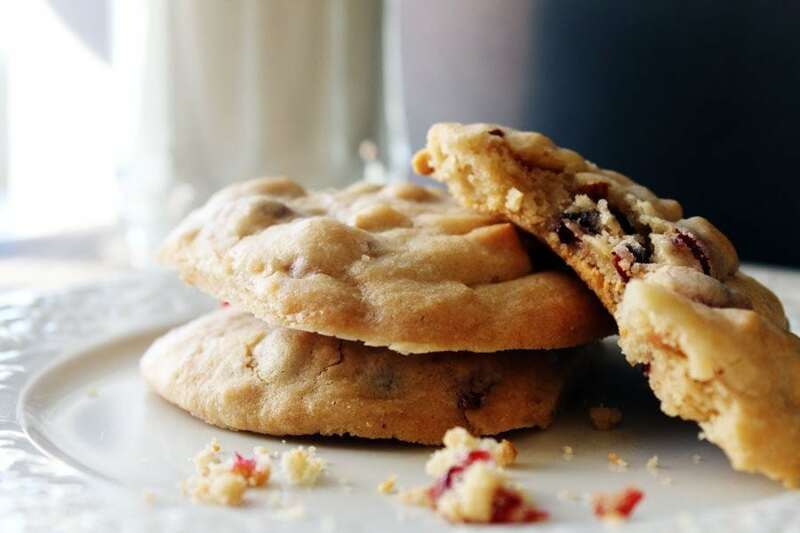 We will definitely be making these Cranberry Almond Cookies again. 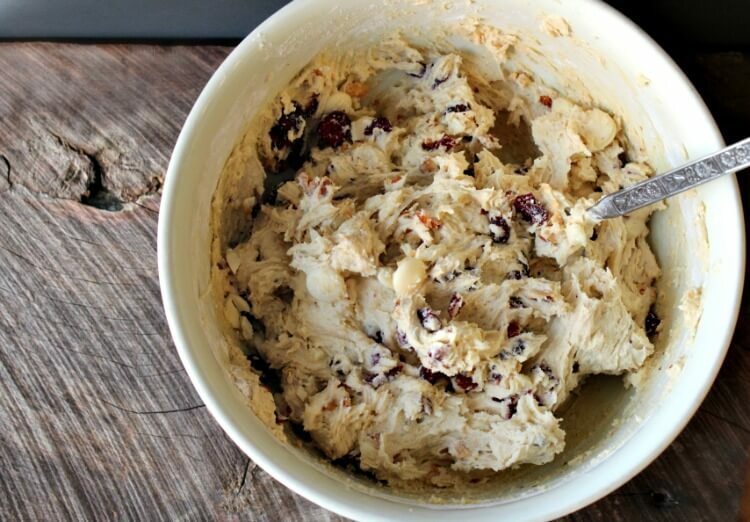 A delicious classic cookie recipe with tart dried cranberries, almonds and Greek yogurt chips. Preheat oven to 350 degrees, and place rack in center. In a small bowl, stir together flour and baking soda. Set aside. In a large mixing bowl, with a hand mixer, beat butter, white sugar, and brown sugar on medium speed until light and fluffy. Reduce the mixer speed to low, and add salt, vanilla, and eggs. Beat for approximately 1 minute. Add in flour mixture, and beat until just combined. Do not over mix. 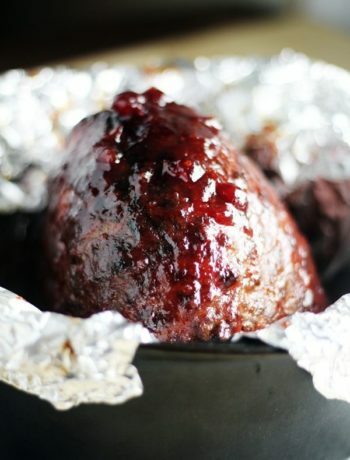 Fold in cranberries, baking chips, and almonds. Make sure they are evenly distributed. Line a baking sheet with parchment paper. 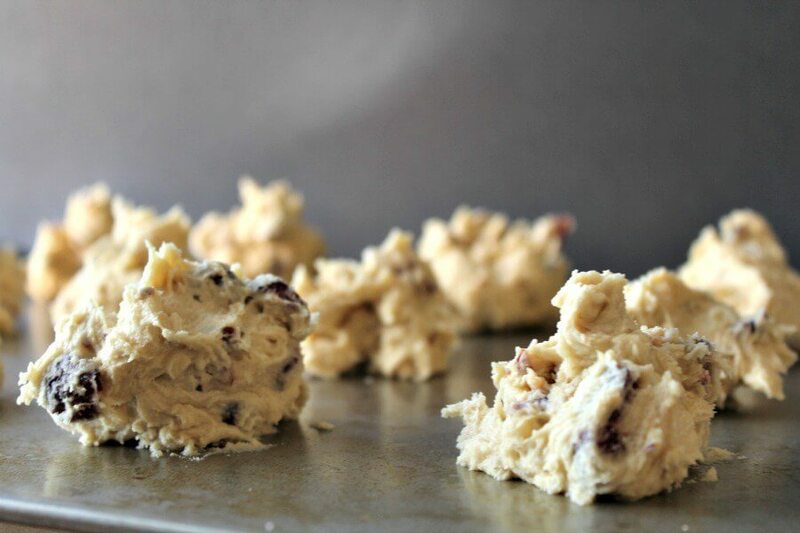 In heaping tablespoon size balls, place cookie dough 2 inches apart on the baking sheet. Cook for around 12 minutes. The cooking time will vary depending on your oven, so check them often. 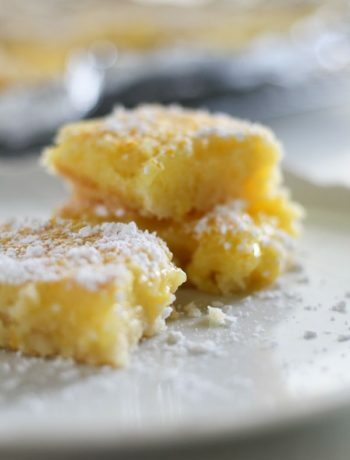 You will want to remove them when the edges are golden brown. Let the cookies cool on the pan for 2 minutes, then transfer to wire cooling racks to cool completely. Store in an airtight container. I love cranberries, too, and I’m so glad that you didn’t add any orange to your cookies. I’m not a fan of that addition. Your cookies look like they taste so rich and yummy. 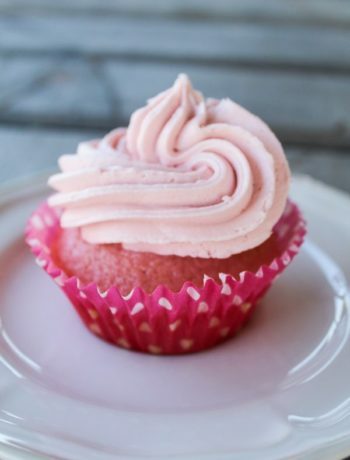 Thanks for sharing your recipe with us at the Over the Moon Link Party. We didn’t want them to be too “Christmas-y”, so we left the orange out. It was a good call, I agree. My favorite part ended up being the Greek yogurt chips. First time I have baked with them. I was not able to find Greek yogurt chips. What can I replace those with? 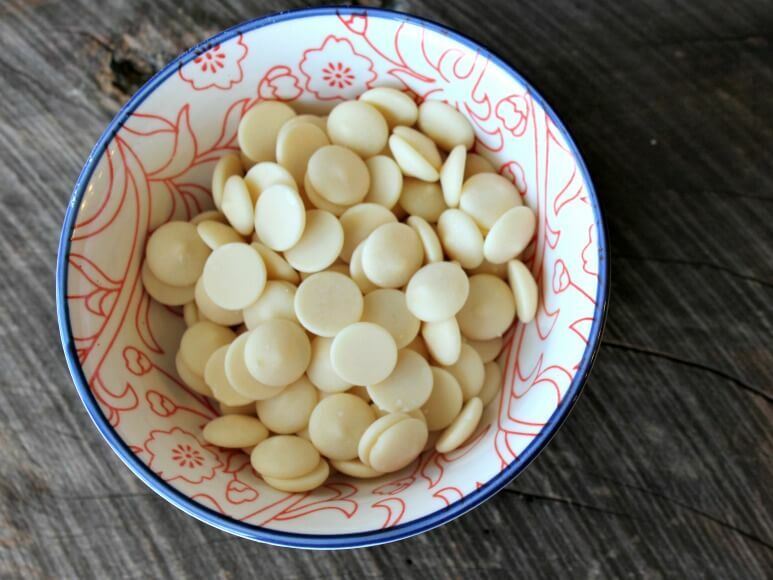 White chocolate chips will also be delicious.